With Rhys turning 1 this week and me being such an avid Pinterest pinner, it was only natural that I’d have a board dedicated to kiddies birthdays! 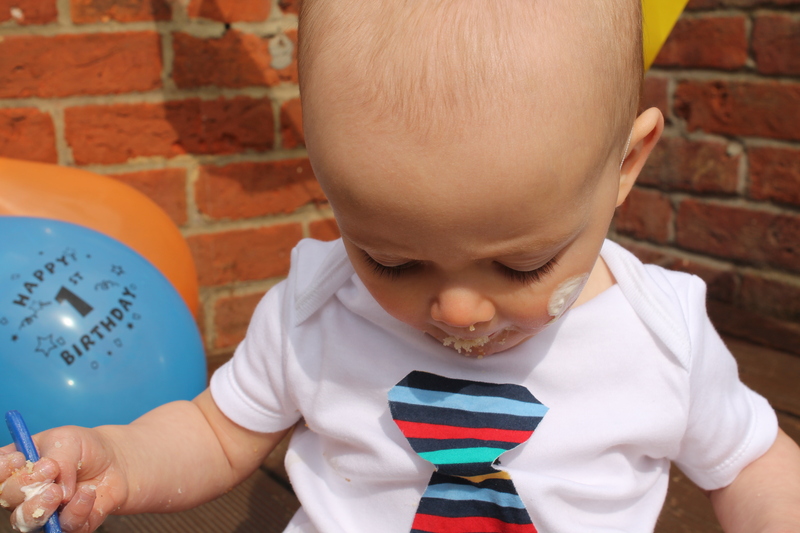 I wanted to do some kind of photo shoot for him so that we’d have some lovely memories to look back on and one thing that really stood out to me was the Cake Smash. 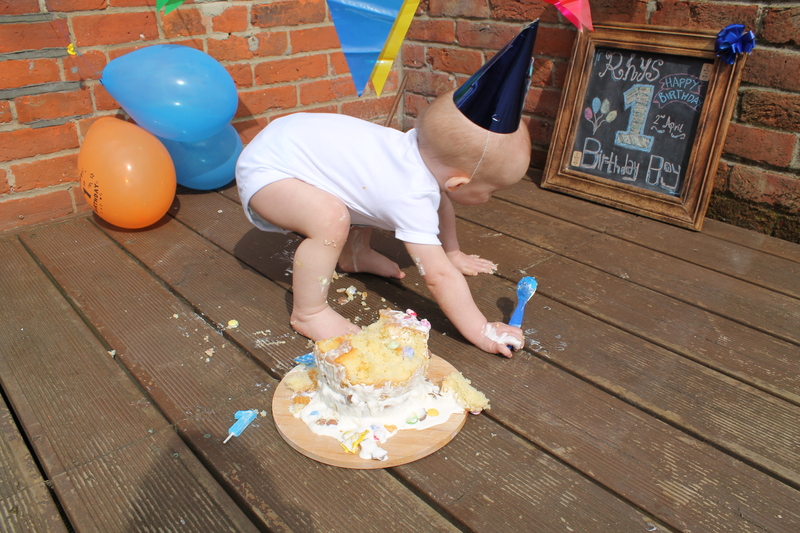 Incase you don’t know what one is, a cake smash is pretty much putting a birthday cake in front of your little one and letting them go crazy with it – while capturing the wonderful moments on camera! 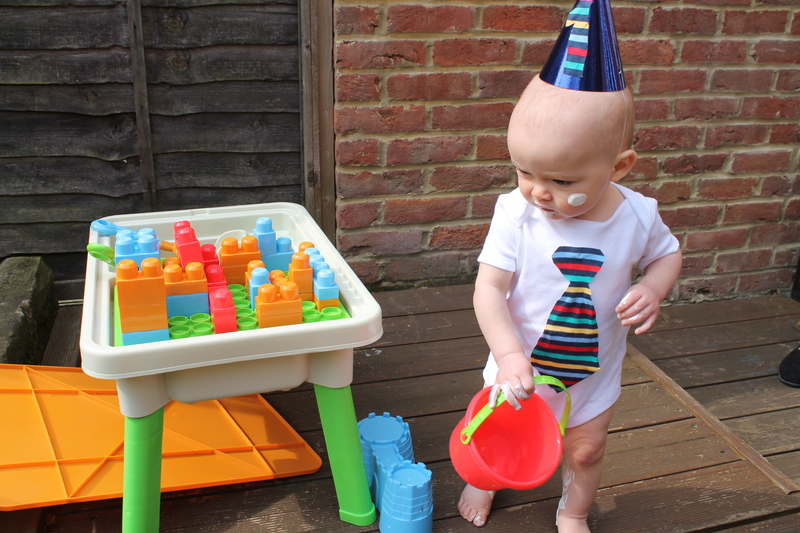 I loved the idea so much that I’ve ended up with a whole board dedicated to them and gathered a load of inspiration and tips for Rhys’s very own cake smash. 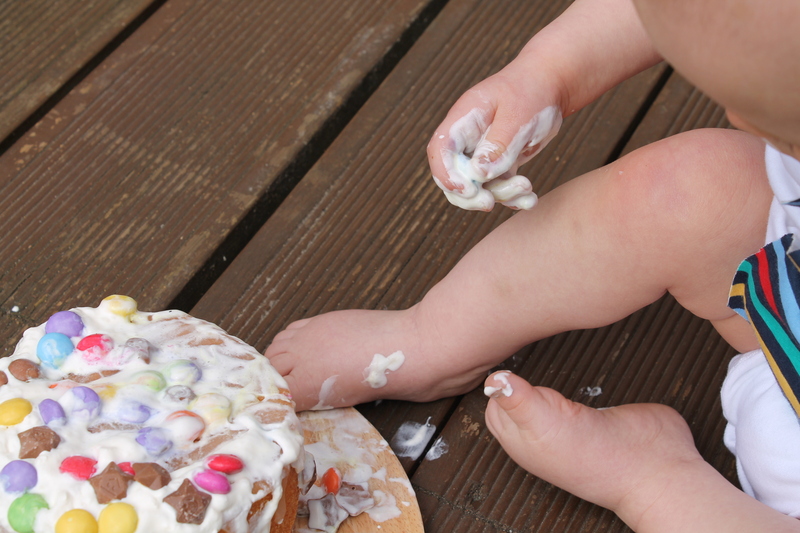 Make sure to have everything set up and ready before you sit your little one by the cake. The last thing you want is to be hanging up the bunting while buba gets his hands on the cake and you’ve missed that pre-craziness picture moment! 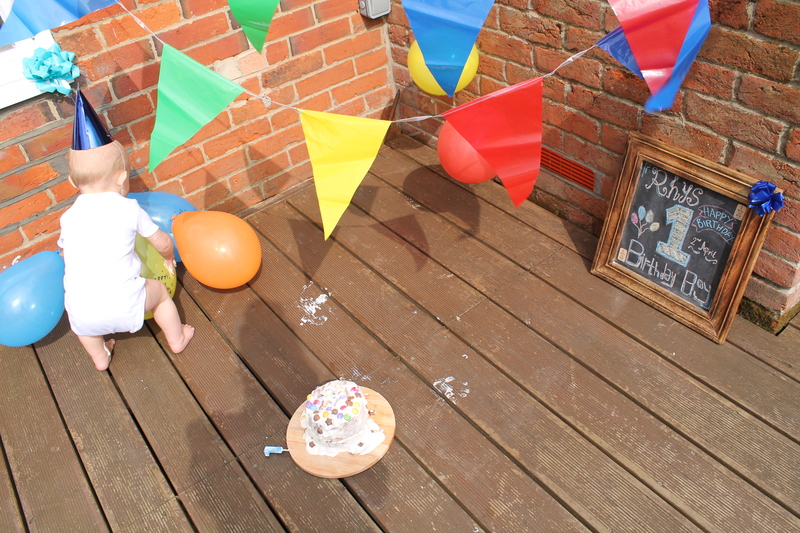 I got everything set up while Rhys was napping – the balloons, the bunting and the chalkboard all in place. 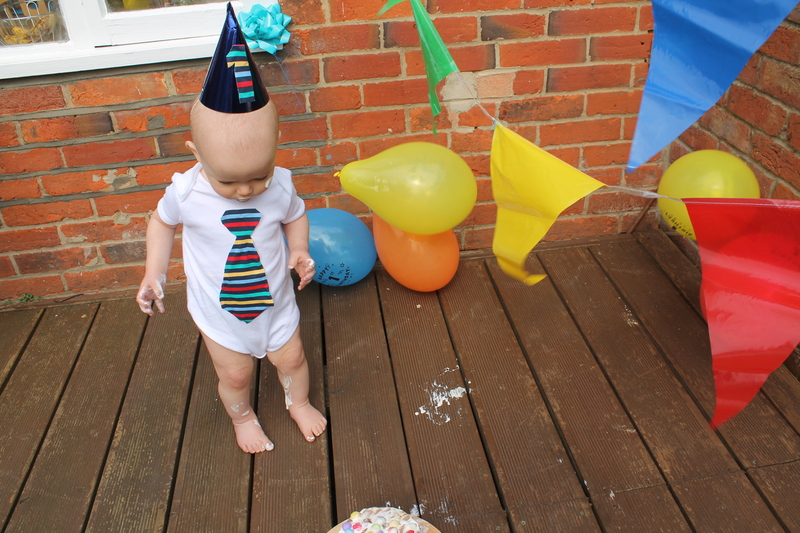 As soon as Rhys woke up I put him in his outfit and while he and my mum played in the kitchen (avoiding any messy play) I popped the whip cream and toppings on the cake. 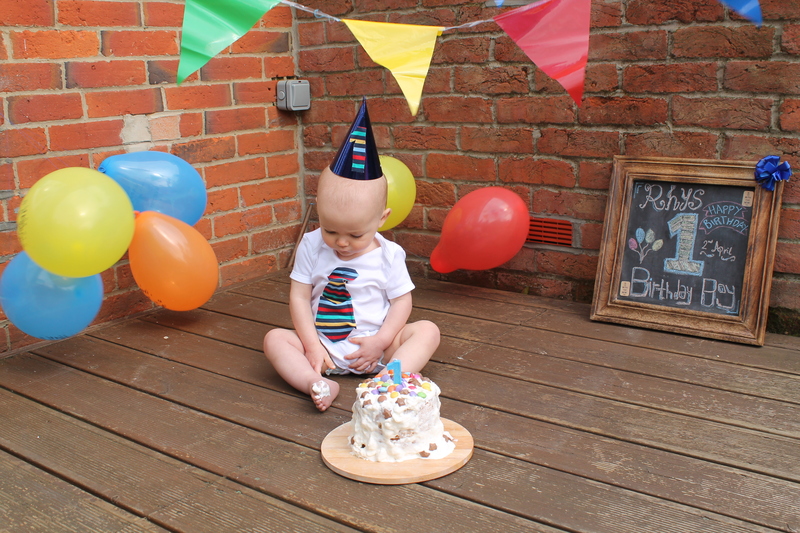 I then placed the cake in position, got ready with the camera and gave mum the signal to sit Rhys in front of the camera. My mum was fab and kept Rhys busy while I prepped his cake, played peekaboo with him to try and make him smile during the cake smash and got him spoons and a bucket to keep him interested. She also ran the bath for him while I got the majority of cake off him in the garden. 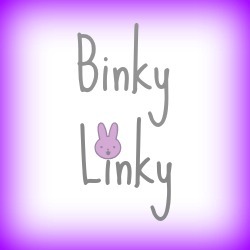 3 – Wet wipes at the ready! Have supplies within arms reach to get little one cleaned up as much as you can. 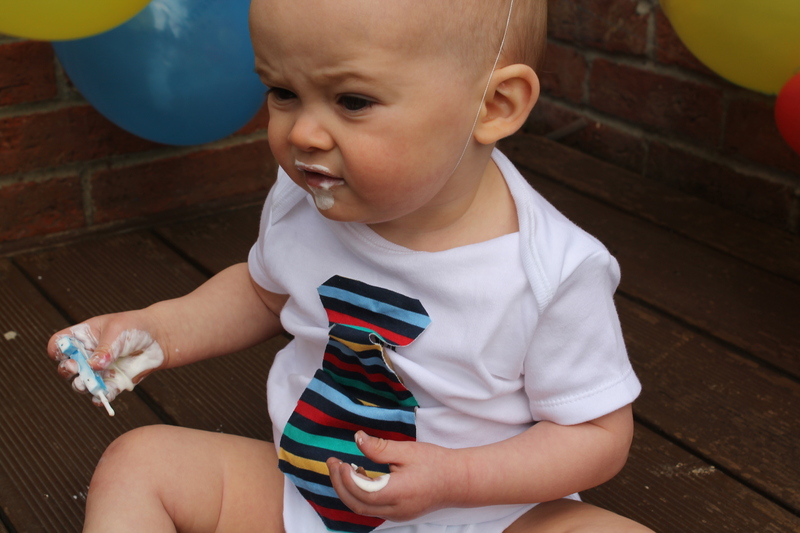 Rhys had lots of sticky crumbs on him so I just stripped off his vest, brushed the crumbs off with that and then used wet wipes to get of the excess whipped cream. 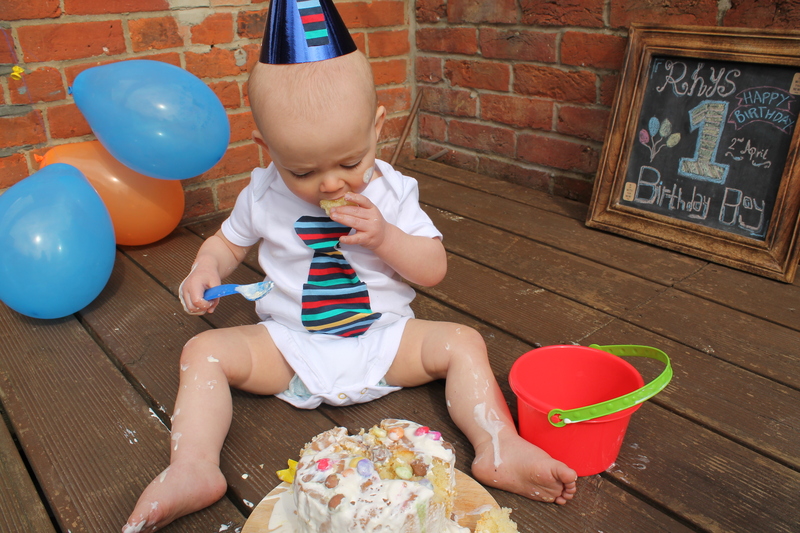 4 – Don’t expect to eat the cake! 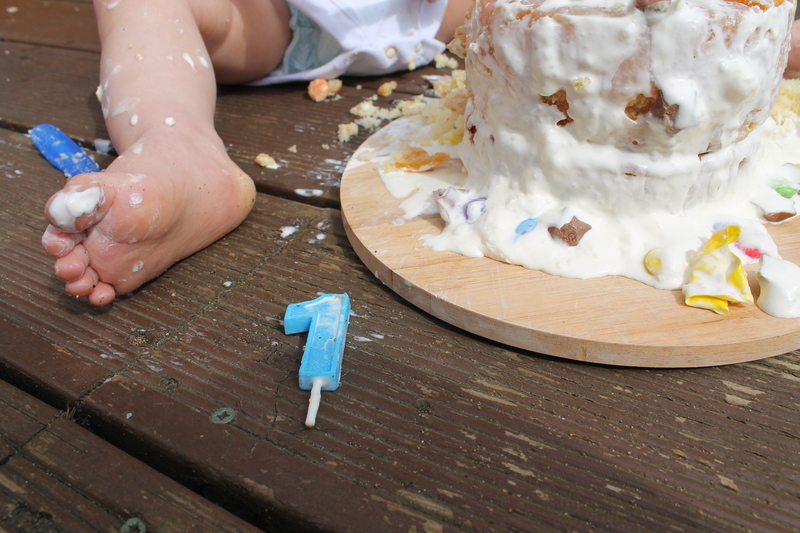 In most cake smashes I’ve seen the children are let loose on the most extravagant and expensive looking cakes. That’s all well and good as the pictures look fab but as a DIY lover I’d rather do things on a budget, and use that money on other things for Rhys. I just bought two small cakes, one victoria sponge and one lemon dazzle – both £1 each. I placed one on top of the other and added the toppings. 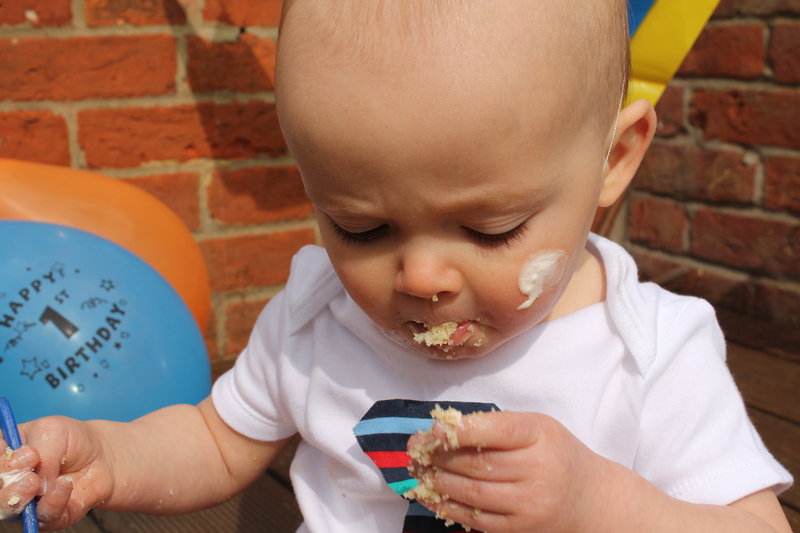 I was expecting the cake to get more demolished than it did, but Rhys was actually quite dainty with it! 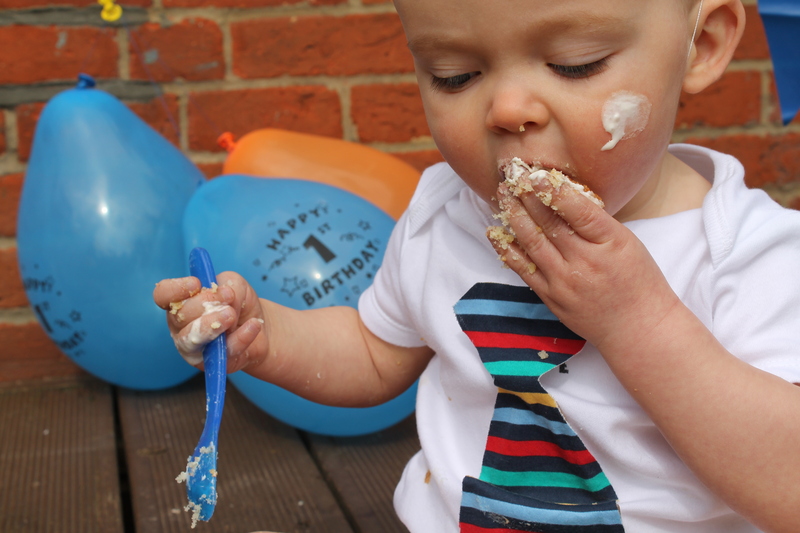 Even so, the spoon he was using was then being poked all around the decking and after the cream had melted the cake didn’t look particularly appetising so we didn’t even attempt to eat it! I’ve never been a fan of icing, I’m definitely a buttercream lover. In fact recent pregnancy cravings have driven me to eating bowlfuls of it on it’s own! 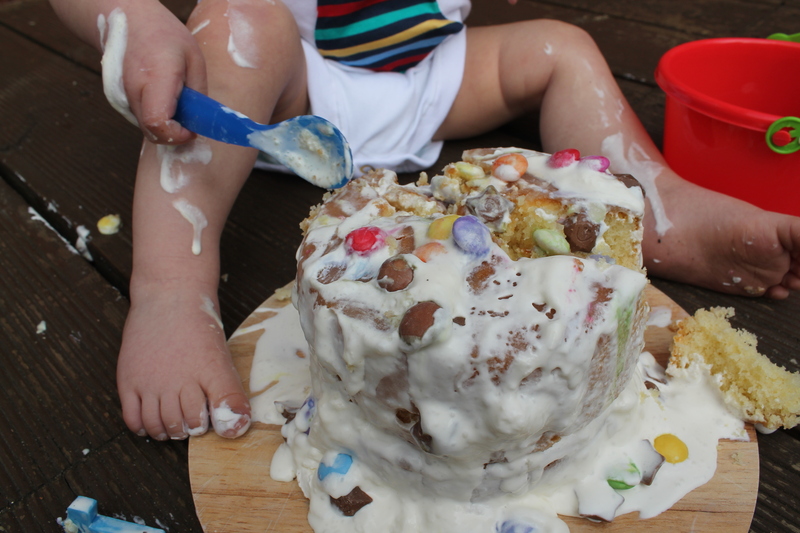 I also thought that it would make for a much easier cake smash as it’s easier to grab and smash about than icing is. At first I was going to use it for the topping but then one of the yummy mummies on twitter told me that she’d used strawberries and whipped cream and I realised how much easier and this would be! I opted for smarties and chocolate stars instead of strawberries but the whip cream was simple to prepare (bought in a squirty cream bottle), quick to apply and looked awesome in the pictures, even once it had melted a little. Whipped cream does wash away but I decided that instead of buying a new outfit I’d try to make one out of what we already had. I used one of Rhys’s white vests and stuck on a tie that I cut out of some old scrap material I had. I then cut out a number one out of the same material and stuck it to a party hat which Rhys actually kept on!! 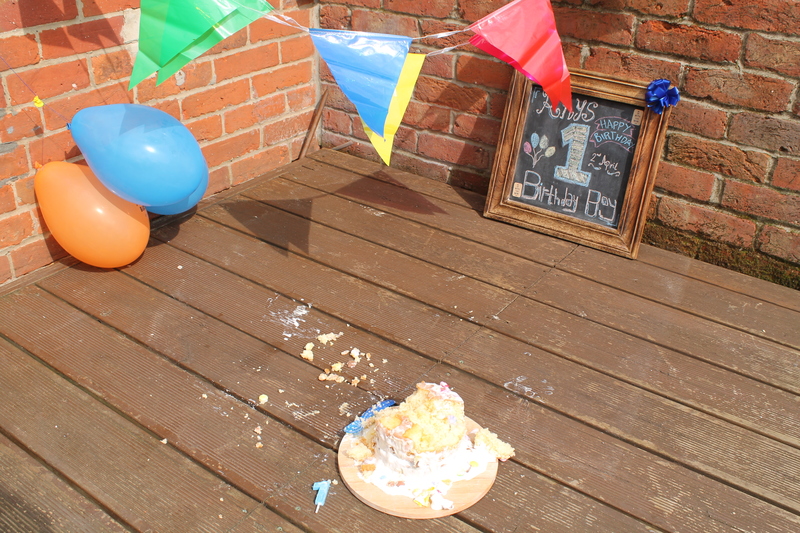 Unless you have a clear space in your home which you can keep clean I would try to do the cake smash outside (weather permitting of course) . 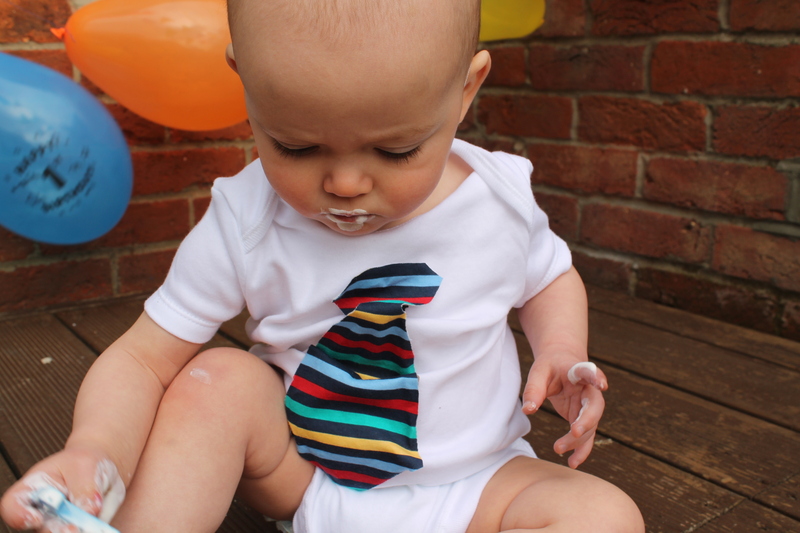 That way if little one gets distracted, it doesn’t matter if he wanders around getting his sticky fingers everywhere! We were really lucky to have a sunny day with a cool breeze, but if the weather is terrible then I’d suggest hanging a bed sheet on the wall (to avoid sticky fingers, and doing the cake smash on laminated flooring. You could even use table cloth for bambino to sit on to keep the floor clean. Natural lighting is the number one for any good photo shoot. We were outside and our garden get’s a lot of sun so the lighting worked really well (although it may have been a little bright). You’re probably going to get a tad bit messy in this too so there’s no point in making much of an effort. I just wore old leggings and a baggy top which were used to wipes my hands that got all cake. A couple of times I had to put my hands in the cake to encourage Rhys and before putting my hands back on Pete’s camera (he would not have been impressed) my top was the easiest place to wipe them! Sorry for the cliche tip but it’s true. Just go with it. 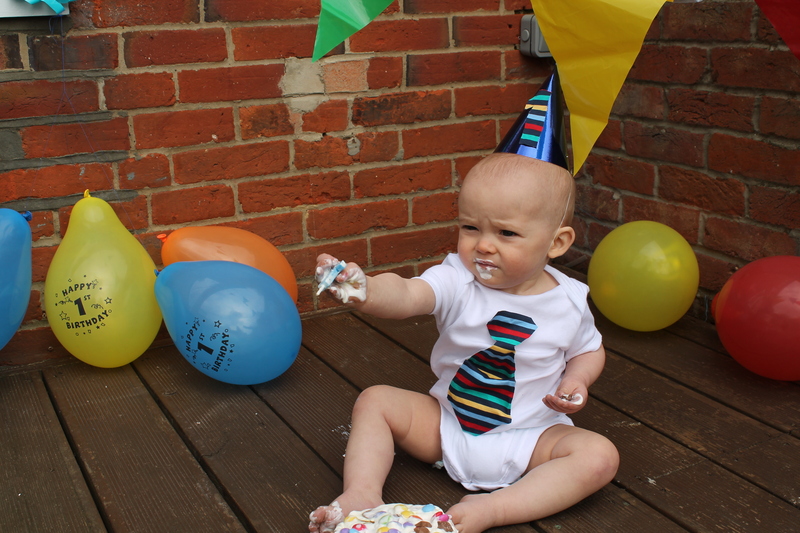 If little one wants to face dive the cake let them, if they’d rather run off and pop the balloons that’s ok too! 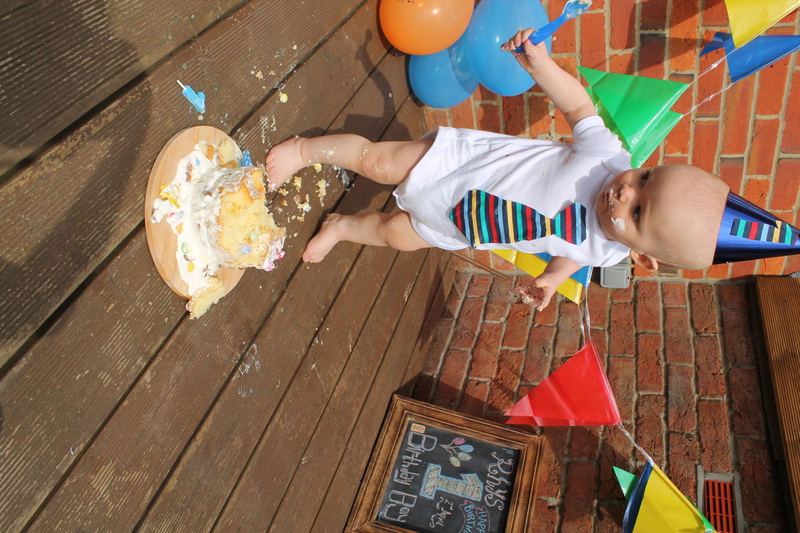 A cake smash is simply a showcase of how awesome your little one is and a way to show them how funny/quirky and sometimes let’s be honest – odd they were at 1! Here are some of my favourite snaps from the day that I’m going to try and get on a canvas. 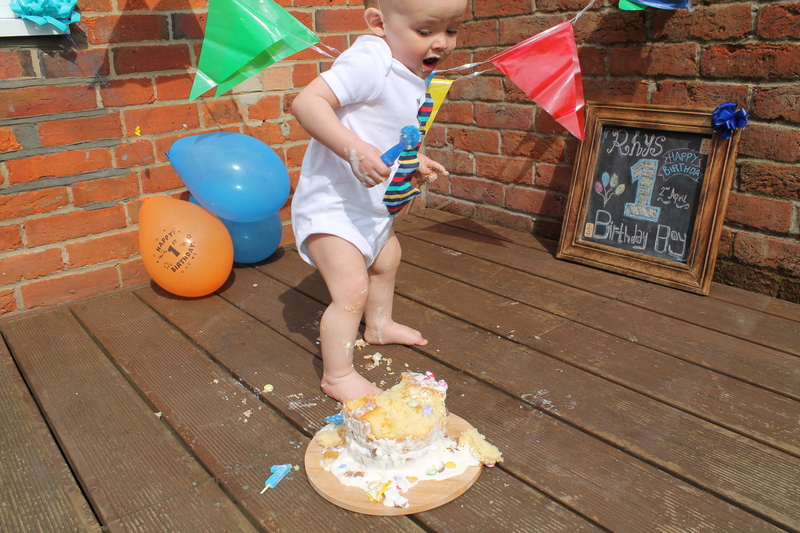 I’d love to see your cake smashes, they’re such a fab way to share little ones 1st birthday! Aww those pictures are lovely! Ted is such a cutie and definitely enjoyed that chocolate cake! What a lovely idea, I have heard of this cake smash craze but hadn’t seen any pictures up till now, a lady who works for my mum spent £80 on a cake for a professional shoot! What a lot of fun! The photos turned out really well. I like the last one best. The outfit you made is so clever too! 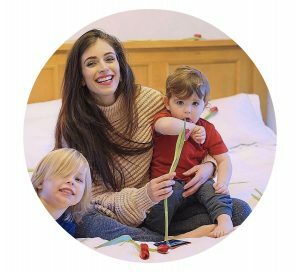 how lovely I bet you will love those photos for years, I love the tip about being messy, my husband would freak! So cute and it is such a great idea. We did ‘cakesmash’ with Miss Marnie and she loved it. I had her in a nappy, tutu and headband and the shots are lovely. She cried a bit – but once she tasted the cake she cheered up. My sister thankfully made a smaller version of her actual cake for the smash- so we all got some cake afterwards too!